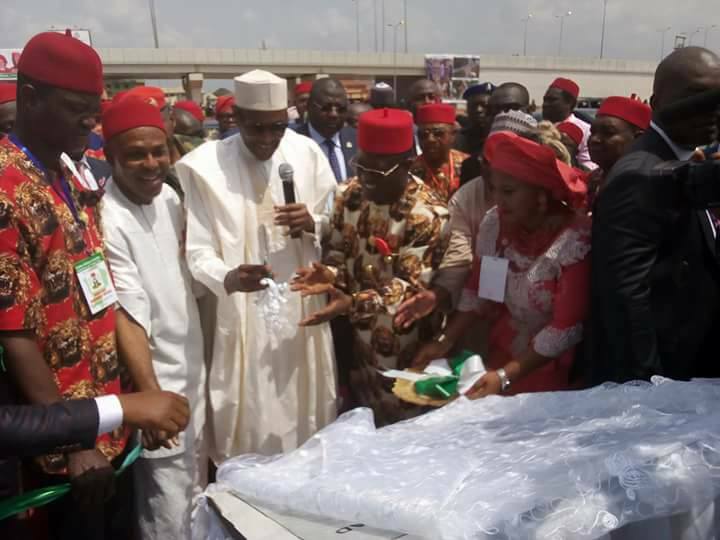 President Buhari has finally paid the much expected visit to the Southeast, after over 30 months of his administration. The President was warmly recieved at Ebonyi State as he begins a 2 day working visit in the region. 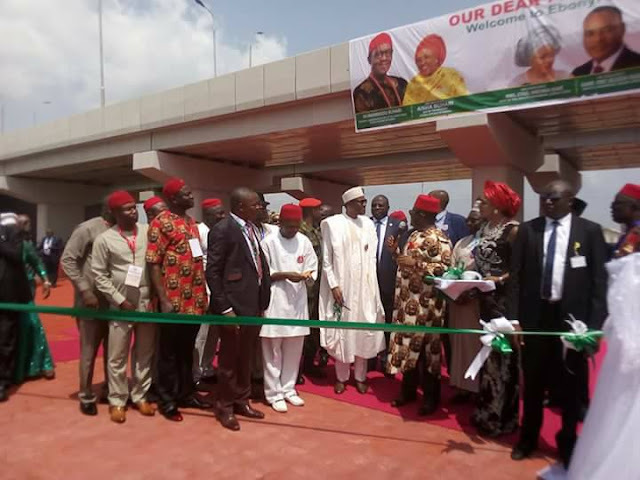 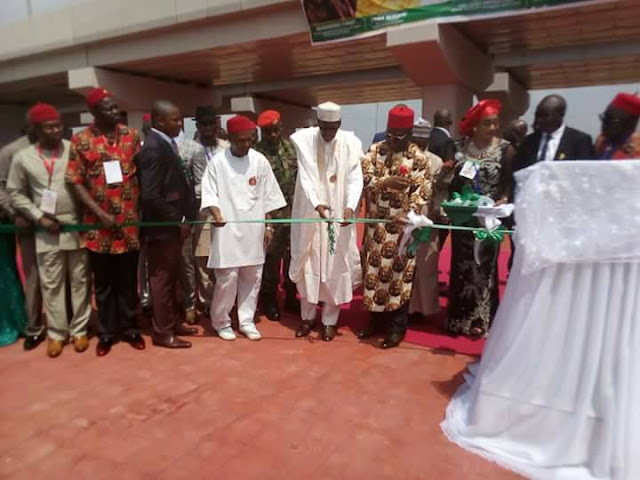 The 14.5km Federal Road constructed by the Ebonyi State Government was also commissioned alongside the unveiling of the Statue of Dr. Akanu Ibiam. 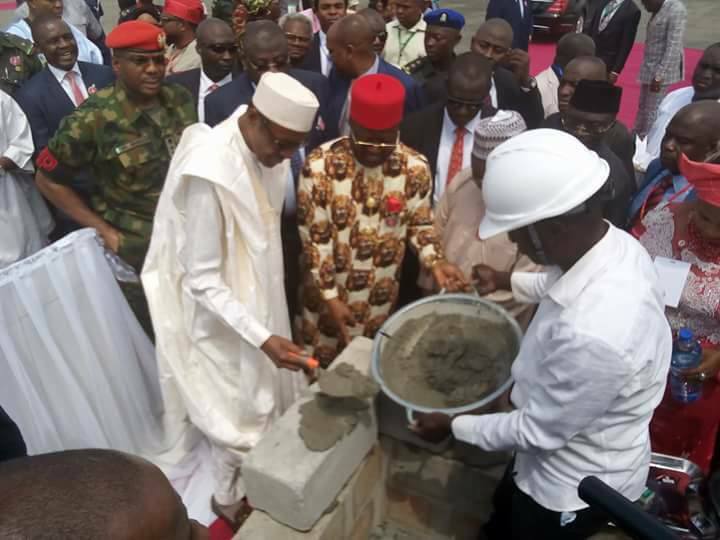 He also laid the foundation stone for Ebonyi Ultra-Modern City Mall, and the foundation stone for President Muhammadu Buhari Flyover Bridge/Road Tunnel.